Nearly four decades ago, an intense series of spiritual visions led one of India's top nuclear physicists, until then a religious skeptic and man of science, to walk away from his prestigious post at the heart of the country's missile-defense complex. Retreating into the remote jungles of eastern India, he discovered the remains of a centuries-old Tantric Mother Goddess shrine and embarked on a life-altering quest to revive and expand it – eventually attracting tens of thousands of followers from across India and around the globe. 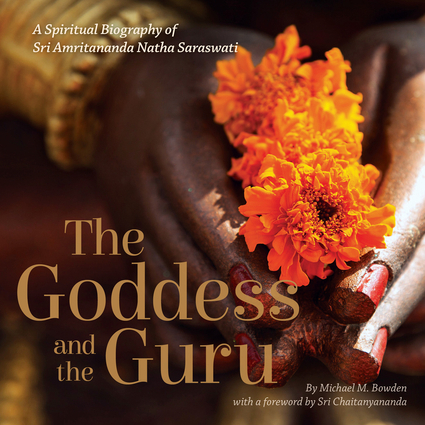 Part biography and part spiritual guidebook, this book chronicles the astonishing, inspiring – and yet deeply human – life of Dr. Nishtala Prahlada Sastry (later best known as Sri Amritananda Natha Saraswati, or simply "Guruji"); his triumphs and disappointments, public successes, and personal crises. In addition to Amritananda's life story, the book also offers a generous selection from his writings, lectures, ritual guides and poetry – a treasure trove for those who wish to significantly deepen their spiritual practice while remaining fully engaged with the world. Michael Bowden is an attorney and the director of communications for Roger Williams University School of Law. He is a former reporter for The New York Times and has written for newspapers and magazines ranging from the ABA Journal to India Today. He is also the recipient of the Ross Award for his legal journalism. He lives in Warwick, Rhode Island. Sri Chaitanayananda is the founder of the Sri Rajarajeswari Temple and has dedicated his life to preserving and spreading the knowledge of Devi worship. He lives in Rush, New York.